Bead, antique silver-plated "pewter" (zinc-based alloy), 9x8mm double-sided flower. Sold per pkg of 500. Item Number: H20-1758BB Have a question about this item? 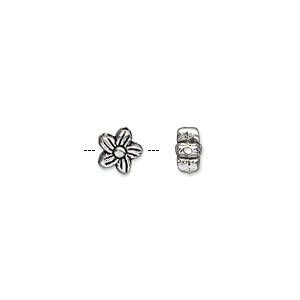 Bead, antique silver-plated "pewter" (zinc-based alloy), 9x8mm double-sided flower. Sold per pkg of 50. 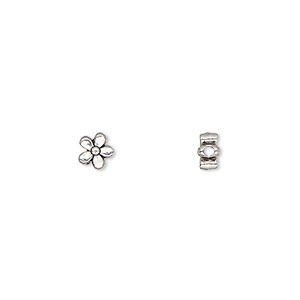 Bead, antique silver-plated "pewter" (zinc-based alloy), 7x6mm double-sided flower. Sold per pkg of 50. 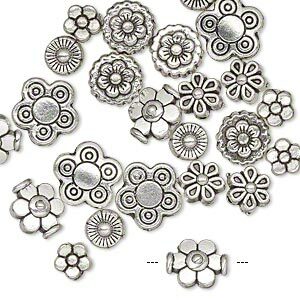 Bead, antique silver-plated "pewter" (zinc-based alloy), 6x6mm double-sided flower with sun design. Sold per pkg of 100. 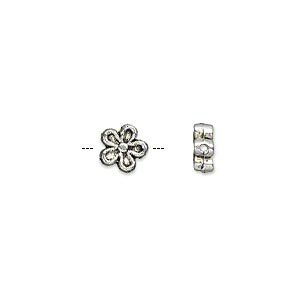 Bead, antique silver-plated "pewter" (zinc-based alloy), 7x7mm double-sided flower. Sold per pkg of 50.